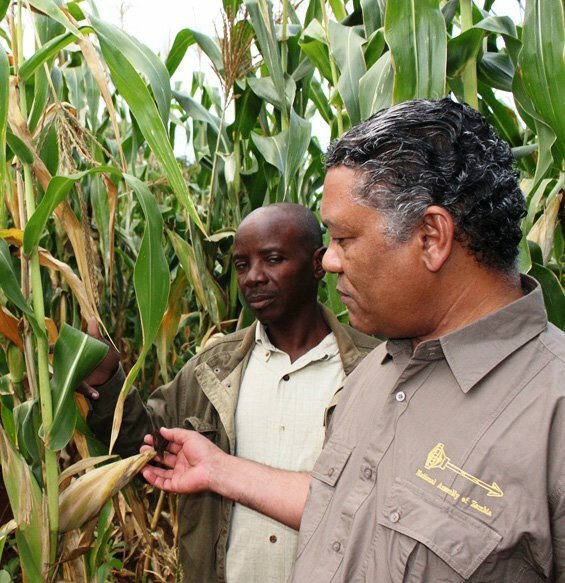 Agriculture and Livestock Minister Given Lubinda has urged farmers to take advantage of the shortage of maize grain in the region and bargain for a better maize floor price. Speaking in parliament today during the oral question and answer session, Mr. Lubinda said the price at which the Food Reserve Agency (FRA) buys maize from the farmers was not the floor price that farmers should use to sell their commodity to traders. He explained that the floor price announced by FRA was the amount which the agency will use to purchase maize from the farmers for strategic reserves. Mr. Lubinda said government will not fix or control the floor price of maize as the Patriotic Front (PF) was not a socialist party. He said government will rather leave it to farmers to bargain for the best price of their produce. He was responding to a question raised by Monze central UPND Member of Parliament Jack Mwiimbu who wanted to know whether government was going to announce this year’s floor price of maize. In response, Mr. Lubinda said the current government has never established the floor price of any agriculture commodity. The minister explained to the house that successive agriculture ministers have only announced the floor price of maize at which FRA will buy the required quantities of the crop. He stated that announcing the floor price at which FRA will purchase the required quantities of maize from the farmers does not entail fixing of the price. He stated that farmers were at liberty to sell their produce to traders at the best negotiated floor price. Mr. Lubinda said farmers should not wait for the FRA to announce the floor price at which it will buy maize from them but they should take advantage of the maize deficit in the region and bargain for prices determined by the market forces. He has since urged farmers to work in cooperatives as this will help them to strengthening their bargaining power when selling their produce. The minister said government was running a liberal economy and as such will not fix the floor prices of agriculture commodities. He reiterated that the current government has not formed a communist or socialist state which can be fixing prices of commodities. And Mr. Lubinda has refuted assertions made by Mumbwa MMD Member of Parliament Brian Chituwo that FRA was the major player in maize marketing. The minister said the private sector was the major player in the maize marketing and not the FRA. He explained that the agency only targets areas where the private traders cannot reach. Government urged to announce floor price for 2016-2017 crop marketing season. GRZ its reponsible to workout a price (reference purpose ) for farmer to look at , then farmers shall sell maize ,depending how much their really spent,distance matters(where maize is coming from ) . by leaving a simple msg ,like bargain for best price with traders . that will make pf un popular . zambian has traditional culture of maize growing , without proper backup support and directive from GRZ , which might making farmers risk of loose profit , why continue grow maize for other countries? Or in other words, there is no fixed maize price this season. Briefcase buyers must continue exploiting peasant farmers? What a Government! At Muzaza Musangu have you yourself comprehended what the Hon. Jack Mwiimbu was talking about? Mwiimbu’s question was on whether government was going to announce this year’s floor price of maize. In effect, Mwiimbu wanted to know at how much FRA was going to buy maize this year. And instead of answering the question, your dull Minister avoided it thus giving the impression that Govt is not ready to announce the floor price. I want you to know that any responsible Government will announce the floor price by May so as to protect farmers from exploitation by briefcase buyers. You may not even know that some peasant farmers have already sold their maze to millers and others at K58 per 50kg bag because the Government through FRA is too late. This government is a flop and has no money to buy farmer’s maize this year nor wonder they are saying she will not fix the flow price for the farmer. Lets hope this time will be cash and carry. This government is a flop and has no money to buy farmer’s maize this year nor wonder they are saying she will not fix the flow price for the farmer. Lets hope this time will be cash and carry. The way I see poor family. You guys dont get the point. FRA buys maize at say $210 per ton. Then for political purposes they offload the maize at $140 per ton to subsidise our main food, mealie meal. Accordingly, millers stay out of the market, since if you buy at $210 you can get stuck when FRA offloads cheap maize onto the market. The net effect is that FRA is the only buyer of maize and millers then get their subsidized maize cheaper through FRA. But this year, too much kaloba, no money….. So the minister is trying to push marketing back onto millers since FRA is dead broke. This is how politics works. clear ,thanks a lot !